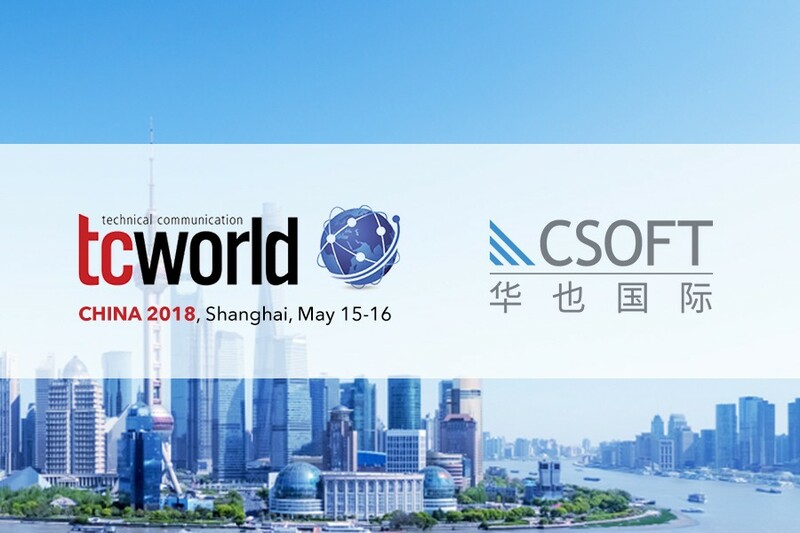 From May 15-16, CSOFT attended and spoke at tcworld China 2018, where experts and leaders from the technical communications field gathered to discuss the latest information and trends for the industry. At the 2-day event, presentations and workshops covered a broad range of topics including the developments of AI in technical writing, the benefits of chatbots, and the uses of different CMS platforms. This year’s guest speakers came from many of the world’s most successful companies, including Amazon, Siemens, Lenovo, Huawei, Alibaba, and SAP, to name a few. Alongside them, Joshua Hughman, Director of Global Communications at CSOFT, presented on how to successfully manage western teams in China. Today, as the technical writing industry continues to grow rapidly in China, Chinese companies have shifted their priorities to value the importance of correct and accurate technical documentation in a global market. As a result, technical documentation from Chinese companies have greatly improved over the years and companies are looking to directly hire native speakers to generate and edit content. This is a subject that is becoming increasingly important and something that CSOFT is very much at the forefront of in China. There has been a spike in the number of companies that want native-speaking technical writers based in China so that the writers are able to communicate quickly and easily with their product development and engineering teams. However, we have seen that time and time again, companies run into many challenges when trying to hire and keep Westerners. Personality/culture fit of candidates is more important than existing skills for building a team that will be successful in the long term. Skills can be learnt, personality cannot.